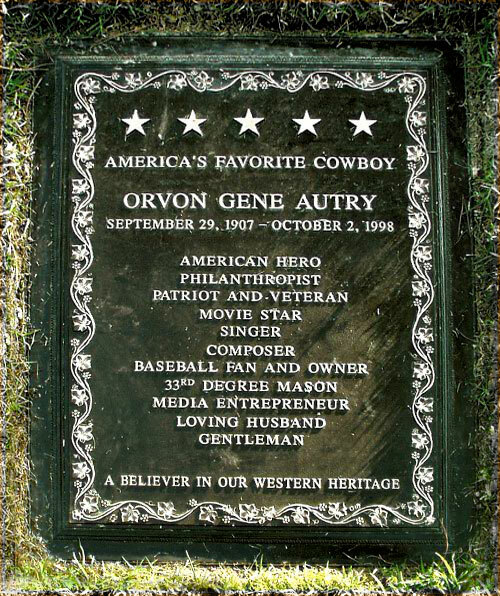 Gene Autry died at his home in Studio City, California, on October 2, 1998, due to complications from cancer. He was 91 years old. 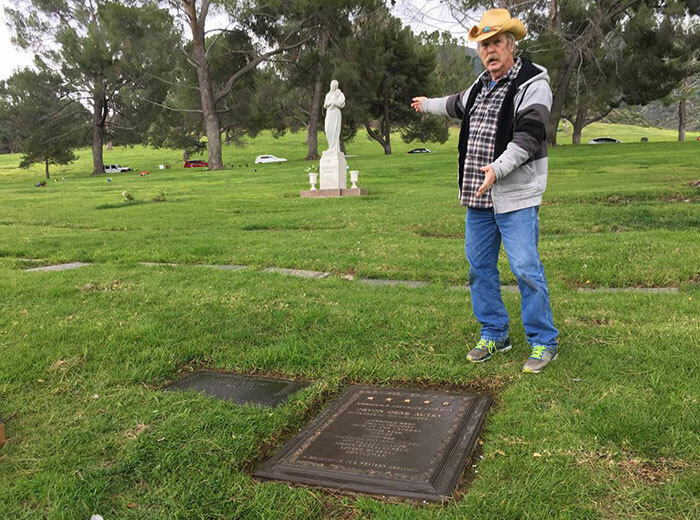 Gene is buried at Forest Lawn Hollywood Hills. 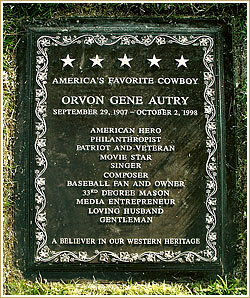 His widow, Jackie Autry, designed Gene's grave marker to reflect his life as a whole. 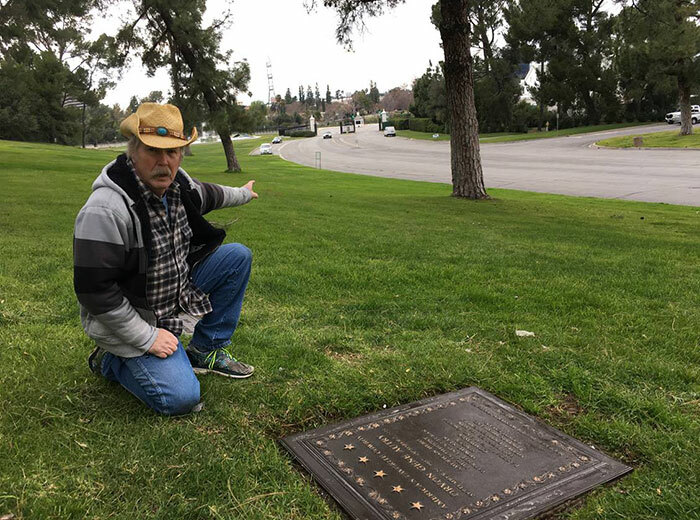 The webpage for Forest Lawn Hollywood Hills can be found here. courtesy of Autry Museum Docent Skip Gillett. Enter the main gate to Forest Lawn Hollywood Hills, which is located at 6300 Forest Lawn Dr. Los Angeles, Ca 90068. After passing the main building and the guard shack, direct your attention to the right side of the road, you will see four trees. Between the 3rd and 4th tree, you will have traveled approximately 175 yards after passing the front gate. Sixty-two feet from the roadway is where you will find the marker. There are no others between the roadway and Gene's. If you walk past any other marker, you missed it. You will see a white statue but if you get to that statue, you will have gone over 30 feet too far. The grave marker is considerably larger than others on the property but most are level with the ground and cannot be seen from any distance. Your destination will be on the right, within eyesight of the front gate but easily missed.